Saturday Night Live was originally a rebellious experiment in television programming. Watching the 40th Anniversary Special Event Edition Whatever, I felt like I was watching a (well-deserved) celebration for the cast and crew. I suppose I was. It was often classy and reverent, and occasionally even funny. Still, the montage of clips and rush of skits showed one thing above all else: everyone got old. Some of the original cast almost look like caricatures of old people now, gray-haired, puffy, a little confused and slow, awkwardly and stiffly telling jokes that must have been funny back in their day. I see Paul McCartney and Paul Simon. They're both master songwriters, undeniably giant talents. Great guests. It's going to be a very sad day when they both pass. But it seems to me they are trying awfully hard to convince themselves (and us) that they're still vital in every sense. Their plastic surgery, testosterone supplements, and hip clothes have the opposite of the desired effect on me: I look at them and think about how old and frail they look, and how it's sad they can't embrace themselves and the age they are. McCartney, Martin, Simon: Collectively over 210 years. Big changes were evident in some of the younger newcomers. Even a few years carve difference into their faces and bodies. 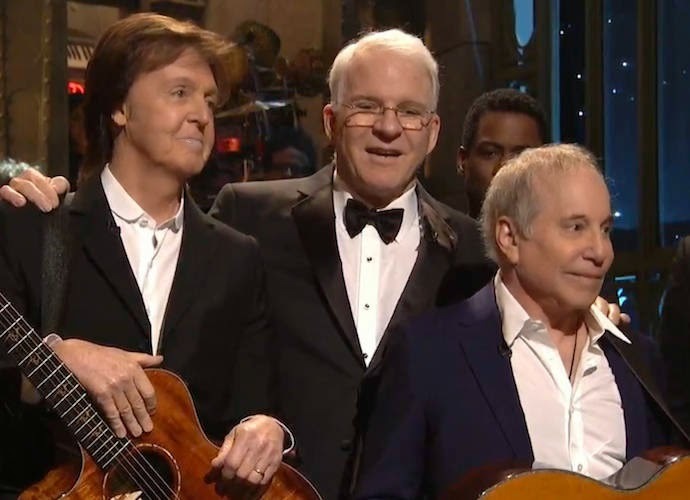 I had some brief moments of remembering some funny stuff, and some thoughts of what a cultural force Saturday Night Live became even as it ossified into the new comedy establishment. I can recall SNL being a part of my world for nearly my entire life. I remember finally being old enough to stay up and watch it (and Rock'NAmerica, which followed it!). I still watch SNL, but now I watch it days later, on demand. And as each year passes, I find it less essential, less bold, less interesting. We're both getting old, I guess. My primary takeaway from the 40th special was a kind of existential dread. Perhaps it was an art piece, an extended metaphor for life. It seemed great at first, but then it seemed like the jokes wore thin, it went on a bit too long, and was kind of sad at the end. I'm pretty sure I wasn't the only one feeling this. Externally, superficially, Eddie Murphy looks like he's been stored in his original packaging for the last 20 years. But seeing how awkward or even terrified he seemed on a stage he'd once dominated, I bet he was thinking the same thing I was: Has it really been 35 years? Look at all these old people. What am I doing here? What happened to us? What happened to me? He didn't tell any jokes. He spoke briefly, somewhat seriously, and then vanished. We're all going to die some day. The second law of thermodynamics, briefly: Entropy wins. Even if you take great care of the physical things in your life, the entire universe is fundamentally programmed to destroy them. You and your things become scratched, pitted, discolored, stained. Damaged. Broken. Parts will need to be replaced. I think of this as the dentist tells me the crown he installed 10 years ago needs replacing. 10 years of crushing, masticating, protecting have worn it down. An air-powered tool rips the old crown off, shattering it into fragments. The whine of the dentist's drill sounds just like the air gun in a tire shop. He stops briefly: his tool's burrs have worn down and need replacing mid-task. At home, the dishwasher's door spring fails, a canary in the coalmine. Days after you replace it, the dishwasher starts making terrible noises while refusing to fully clean dishes. It's like a teenager. Then you suddenly realize it is in fact a teenager, and well past its typical lifespan. Even a well-cared-for machine is subject to relentless entropy. You might take great caution, but some jerk backs their truck into your vehicle and BOOM. 10 years of maintenance mooted almost instantly. Order moves closer to chaos. Sometimes there's no apparent cause: the amp that should work just doesn't anymore. Music, silenced. Perhaps you're luckier and your electronic devices merely become obsolete or unsupported before they physically fail. In some ways, this kind of digital Alzheimer's is worse. A perfectly "good" combination of hardware and software ends up discarded simply because the world has moved on. You could keep trying to use your device, but it becomes slower, more confused, and has increased difficulty connecting to the newer devices around it. I try hard to take care of the things in my life. At the same time, I try to avoid becoming too attached to them in any sense. I know they're all headed for the scrap heap at some point, and prior to that, they're going to get beaten up to some degree. You tell yourself that you should really try to appreciate every moment of it. The scenery, the sensory input, the feelings good and bad, the thoughts, and memory's hall of mirrors. Time passing, swerving, rushing by. Even the damage -- you want to learn to appreciate all of that, too. This proves to be very, very difficult at times. Sometimes you can find beauty in the scars and dings and wrinkles, but perhaps too often, you think of how the doctors described your nerve injury. The word they used was "insult". That's how it feels. Can one learn to appreciate insult? I guess that's the height of comedic appreciation, right? A roast? You consider that perhaps this is the point: To learn to appreciate all of it, for what it is. You need age to really appreciate youth. You cannot appreciate perfection without inevitable scuffs and wear. You cannot appreciate the present without some kind of past. Perhaps the more of a past you have, the more you can appreciate the present. Maybe a certain amount of history is a prerequisite. You briefly wonder what you would give to go back just 10 minutes. 10 hours. 10 days. 10 years. Would it be worth it even if you had to sit as a passenger and watch everything unfold the same way again? Would you even want the ability to choose a different road, knowing how those changes would ripple out endlessly? You look at the past, flying away from you as you are blown backwards into the future, pieces burning away like a space capsule on re-entry. The beautiful, awful past. Visible, ungraspable, tantalizing. Her particular swagger and easy confidence made it obvious she was a few years older than me. Striking. Long black hair pulled back in a ponytail. Perfectly faded and torn jeans with a white tank top, showing tan skin. The night seemed to slow and stop. A sudden silence, as the music, conversation, and traffic sounds receded. It is 2000. I am in Los Angeles, on a restaurant patio just off of La Cienega. A party for my friend and bandmate Tyler Bates. I gaze back at the woman, her dark eyes glittering in the firelight. In the late 90s, I was living in Los Angeles. Specifically the San Fernando Valley, not far from the legendary Galleria, made famous by Moon Unit Zappa in the song "Valley Girl". I had been divorced for a few years now but was in a new relationship. 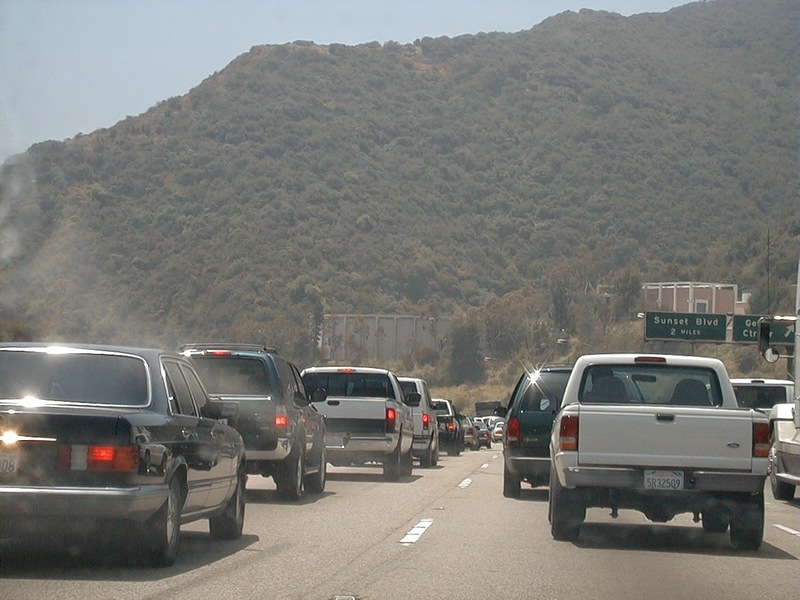 This is your daily commute in Los Angeles, circa 1999. It is worse now. I had quit my day job. My own bands had broken up or fizzled out. I was considering and following all possible directions I could think of in the music business: Being a producer for my friends' bands and up-and-coming L.A. scenesters. Dabbling in film and TV scoring. Looking for other bands to join as a sideman or frontman. 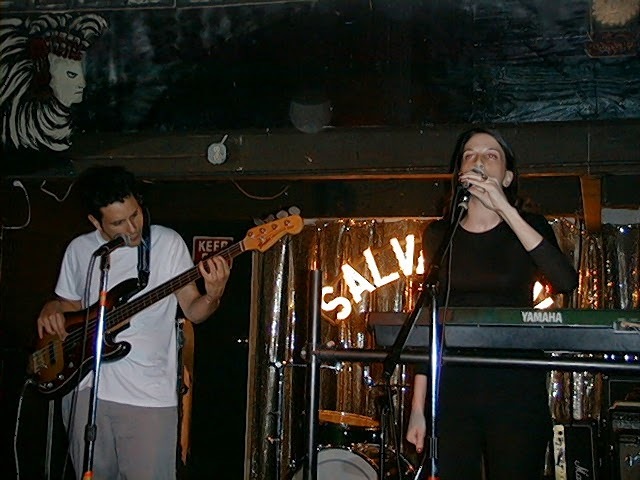 My girlfriend was a great bassist playing in several bands (including a cover band -- the M-80s with Gary Finneran -- which served as part of the inspiration for Sid Luscious). She worked in a famous recording studio. And she was friends with Lisa Papineau. Lisa Papineau was a remarkably talented singer, and well known in the L.A. music scene at the time. She knew everyone from the biggest big shots to the indie almost-shots I hung with. Lisa was the frontperson for Pet, the first band to release an album on Tori Amos' label. Pet was very cool -- a sort of heavy rock band fronted by a striking-looking woman who didn't sing like a typical heavy rock singer. Tyler Bates was the guitar player. On drums, Alex Locascio. And while I saw them in L.A, their bass player for live gigs was another titan: Juan Alderete. Pet played shows with many of my friends' bands. My memory is a little hazy, but I know for sure they did a show with my brother's band Don Knotts Overdrive, and I'm pretty sure I also saw them play with my friends in Electrolux/E*lux, Gwen Mars, and probably This Great Religion and Failure, too. Like many cool, innovative bands of the era, Pet didn't last. Label pressure, etc. It's a familiar story. Lisa and Juan eventually formed Big Sir. I had the pleasure of working with them briefly, doing some live rehearsals, and recording and engineering basic tracks for their first EP at my studio. Big Sir: Juan Alderete (L) and Lisa Papineau (R). Benefit for Manny Nieto, May 20, 1999. Tyler called me up and asked me if I wanted to play keyboards in his new band. It didn't have a name yet, but Alex from Pet was going to be the drummer. He said he envisioned it as a kind of 90s version of The Cars. I couldn't say "yes" fast enough. I had just bought a Nord Lead 2, and was really missing playing in a group. Playing keyboards and singing backup sounded perfect. Not only would it give me a break from years of struggling as the frontperson, it seemed fitting to return to the role I held in my very first band. A chance to start over, as it were, make new decisions, and choose different doors. We met up, and he played me the half-dozen songs he had recorded. They were really good. Weird, catchy, and blessedly not just re-hashing whatever was popular in L.A. at the time. And the lyrics were deceptively dark. One song was about fever dreams, another about parental issues, a couple about bad relationships. But there were almost no keyboard parts on them. No problem! Within a few weeks, we were rehearsing, and added a guy named Bob on bass. We were all seasoned pros, which made rehearsals atypically pleasant. The volume was moderate, and everyone knew their parts. I had added a Korg Kaoss pad to the Nord for various effects and the visual stage business of manipulating it. I had been listening to a lot of the "about to break" 90s electronica that was popular at the time -- Underworld, Crystal Method, Orbital, and Chemical Brothers. I tried to incorporate some of those motifs and attitudes into the parts I wrote. I also sang backups. My flexible high range nicely complimented Tyler's bassier growl. We played all the hot clubs. Opium Den. Whisky a Go Go. Spaceland. Doug Weston's Troubadour. Being back on stage and in such a tight, drama-free outfit was exhilirating. It felt great to be playing again, on good stages, in front of good crowds, with good material. I developed an aggressive performance style, setting my keyboard stand low and crouching behind it like a sprinter in the blocks, or rocking it forward and backward like I was shaking the music out of it. For one song, I did some dramatic overhand windmills to trigger percussive clap sounds. And we hung out. We weren't super-close, but we were friends. It was fun. And much as I didn't want to think about it, there might be the ever-hoped-for "label interest". Maybe we'd get to make a record. We had a decent set of songs, and when Tyler said he was trying to decide between covering X's "Los Angeles" and Wall of Voodoo's "They Don't Want Me", I knew this was a good band for me. One day Tyler called me up and said "I have the name for the band. What do you think of...Widget?" Despite our relative success, a sense of doom was in the air. Napster was on the rise, and bands everywhere were watching album sales fall. Many of our friends had already signed bad deals, released mediocre albums that didn’t sound like the band did, and were dropped, or worse, trapped a kind of record business limbo where they weren’t free but the labels wouldn’t let them make or release any music. It felt like the whole scene was on the verge of ending, or curdling into something unpleasant. But bands are only one part of life, even when you're a musician in L.A. Offstage, I was profoundly unhappy, and needed to change...everything. My friends were breaking up their bands or relationships or both. In late 1999, I found myself driving home from a Widget rehearsal, realizing I had to break up with my live-in girlfriend of 3 years. And not long after that, I got a job offer...in San Francisco. I started thinking maybe it was time to leave. To hang up dreams of getting signed, to stop hanging out at The Garage and Mogul's and Goldfinger until the wee hours with borderline or serious alcoholics with tinnitus, and get an actual job in an office and earn some money. Tyler, for his part, was starting to have real success and steady work in the film and TV composing world. This is really difficult and demanding work under the best of circumstances. I spent a lot of time running laps around Balboa Park, or driving Didion-esque loops around the city. Was there anything left to see or do here? Could I find new doors to open here, or was it easier to simply leave and start over somewhere else? And even as I was considering that, I was getting offers to join other bands “with label interest”. I liked Widget, but like a true professional, I went to auditions anyhow. A montage of these memories and experiences whooshes past my eyes. I am at the party at some cool restaurant on La Cienega. One of those great L.A. places with an outdoor patio. It's a beautiful night in early June. I’ve been here an hour or so. I rolled up in my car, feeling like a character in a Brett Easton Ellis story. The party is fun. I see my bandmates, a few people I vaguely recognize, and a ton of people I don't know. There are several attractive women at the party. Being me, I end up talking to one: The striking older woman. We talk a bit about our lives. We talk about Jeff Buckley. I had been listening to "Grace" quite a bit. She knew him. We talk about his sudden death, so much music and life ended so soon. And that’s when she asked me what I was doing. The night is still frozen, time stopped. I look at her, stretched out on the outdoor couch. I feel the condensation of my empty cocktail glass. Zephyr's sweet breath rattles the palm trees, sounding like faint applause. She’s watching me, waiting for an answer. I think of Widget’s likely future. The promising debut, the inevitably disappointing second record. The A&R guy asking where the single is. And that’s assuming we even get that far, after many more club shows. Other scenarios play out in my mind. And instead of putting the moves on her, I find myself slowly saying "I think I'm leaving Los Angeles." She smiles at me and nods, her eyes sad but knowing. She talks about how long she's been there, and how many times she's thought about leaving. And why she stayed. I stand there in the perfect night. I could stay. She’s here. Staying could be fun. L.A. can be amazing and full of promise. The air is sweet and smells faintly of magnolia. The food is good, the bourbon is nice, and the party is going strong. I soak it all in, wanting to capture this moment, every sensual aspect of it, and save it forever. 30 minutes later, I'm alone. Driving up the 101, roof open. I leave the stereo off, listening to the wind rushing past. The freeway in front of me is empty, dashed white lines converging in distant infinity and darkness. Above, I can see the stars and hints of the Milky Way, an astral road nearly washed out by Hollywood's light pollution. 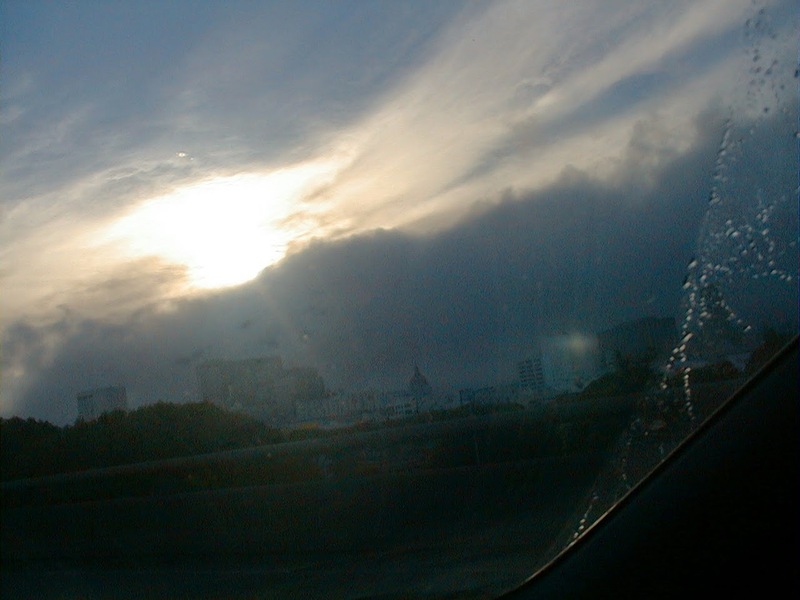 A few weeks after the party, I moved to San Francisco. I started a new career in the digital music business. I sold much of my music gear, and for the first time since I was 15, I wasn't in a band or trying to be in a band. I was done with playing music. Being "done" lasted 6 months, and then I started on a path that led to some of the best work I've done. Tyler Bates became one of the most successful and sought-after film composers in Hollywood. His list of credits is extensive and impressive, including "Watchmen", "300", and most recently 2014's breakout hit "Guardians of the Galaxy". A recent article in the New York Times interviewed Marilyn Manson as part of the promotional push for his new album "The Pale Emperor". Notably, the article made extensive mention of Manson's new collaborator, Mr. Tyler Bates, who is credited with helping Manson reinvent and reboot artistically. Tyler and I exchange emails now and then. I hope one day we’ll make music together again. I don’t know what happened to the woman. I remember her so vividly, but I can’t be sure of her name. It must have been "Angel".